Hi Anthony, We're really impressed with the doors and the quality of your fittings and the installation. Thank you very much. I do like your new logo & the name and the orange and blue is very memorable. Good luck in your future with the business, I can't see it failing with your terrific attitude and high standard of business operation. Many thanks for such efficient service, especially as it was made difficult by the delivery location and me not being there to pay the dtiver COD. It has been a pleasure dealing with your company. To everyone contemplating on purchasing doors from The Doors, rest assured that you are guaranteed to receive great products at very competitive prices. Most of all, a genuinely friendly, professional and efficient service from Anthony. Service with a smile is guaranteed. We replaced 5 doors recently and a lot of adjustments had to be made to the doors due to our "special" size doorways, all 5 doors fitted perfectly. 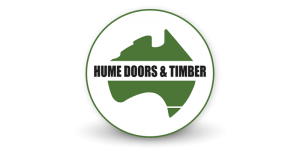 We love our solid timber doors and we would definitely recommend The Doors products and service to anyone thinking of replacing / purchasing doors. Thank you Anthony once again for providing a great service which can be hard to find these days. Chris has paid the remaining $1590 into your account today. Once again thank you so much for your work. The doors look fantastic and your craftsmanship is perfect! Thanks Anthony. The doors look awesome.....very happy with them. From the start, we would have to say that Antony from The Doors offered exceptional service. Not only did he listen to our requirements, expert options were provided, a quote was provided same day and Antony came out next day to check measure and go through the quote once again. Delivery times were as promised and the fitting was very good and was done with no issues. The Doors delivered as promised, removed and took away old doors and fitted doors with newdoorhardware all with a smile. Being able to deal with the same person from requesting a quote to installation was a real bonus! We're very happy with our new doors and have no hesitation in recommending them to anyone we know. Thanks for your patience and good work. I will contact you regarding dimensions for the slidingdoorfor my dad's place, and when I am ready for a new frontdoor. That's very kind Anthony and much appreciated! I just want to say how happy we are with ourdoorand your service. We were nervous buying adooronline in the first place, but you made this process so easy. We felt so confident with you every step of the way. Just to say what a brilliant job you did for us yesterday. Liz was absolutely wrapped with the new doors. You certainly are a master craftsman and a great bloke to have in our home. If there was a MasterChef equivalent to your work on our doors the other day, you would be the ultimate winner. The quality, the finish and your eye for detail and quality was incredible. You go the extra step to make sue the customer is 100% satisfied as I and my wife were. It was an absolute pleasure to have you in our home and I can't thank you enough for a fantastic job you did. I wish you and the company continued success in the future. thanks again for a wonderful job with our doors we are thrilled with the result. Thanks for installing the doors today. They look great. Thank you for all your wonderful service. We are very happy with the doors and have recommended you to our friends as well. I just wanted to send you this Email to say thanks for the work you did on our frontdoor. We are really happy with the outcome, workmanship and final result. We will be in touch to discuss replacing the doors to our family and living rooms. Anthony from the moment I made the initial online enquiry you were quick to respond, professional & made the whole process of replacing everydoorin our old crooked house very simple. We wish you continued success with your business & if you are ever out this way please feel to knock on our lovely new frontdoor& say hi. Many thanks again & merry Christmas to you & your family. Enjoy your well deserved break. My husband and I are very grateful for the spectacular job you did with the installation of our new front door, from the very first time that we made contact with you the service provided was exceptional to say the least and the end result says it all. We have sorted quotations from other door installation companies however the lack of service and the pressure to buy their product was evident from the word go. With Door trade we at no point felt under any pressure to do business with you however your attention to detail even in the quotation stage is second to none. 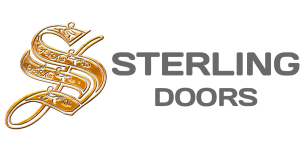 We would recommend Door Trade to anyone looking to add that special touch to the face of their home. Much pleasure to deal with Anthony from Door Trade. 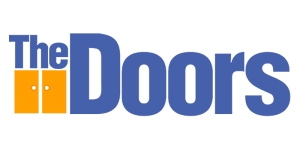 Other Door companies, ha, forget about them. Door Trade was the best choice for me. Thankyou so much Door Trade. Thankyou very much to Door Trade. When i first met Anthony, i had a feeling of joy . I knew that Anthony from Door Trade was not going to rip me off in the doors i have needed. He was upfront with what he had to say with price, he gave me different options of styles and his service was the very best i have seen. I ended up changing 21 doors and a large front entry that most door companies said "' IT can't be done"'. Door Trade was like family you can trust. What can i say about Door Trade: DONT HESITATE, use Door trade. 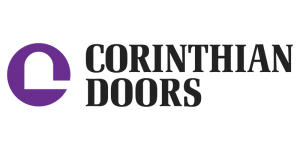 Just had to write and say thank you so much for the excellent service you provided installing our 7 doors. I hit the jackpot when I found Door Trade. 1.) your prices are fantastic 2.) your customer service is second to none (so rare these days) 3.) I couldn't ask for finer workmanship and finally I am so happy with the final product, the doors, the handles even the hinges are fantastic! What a pleasure it wasto get to meet you! From the first e-mail and the first phone call it was obvious you and your Company are the real deal. I will be recommending Door Trade to everyone. Please don't hesitate to contact me personally. My wife had her heart set on a 1200mm wide door. This apparently was a problem to several door suppliers. Either they did not make them, or they wanted to charge, an arm and a leg to have it specially made. Door Trade came to my rescue. After my initial enquiry, Door Trade were able to source the required door, and have it installed for little more than the cost of a standard door. Installation was quick and painless. I was so impressed, I got them to do my back door as well. Anthony was helpful and informative through the whole process. He came out quickly for a measure and quote, and provided his opinion about the options available. The time from deposit to install was two weeks as promised. During the installation he was professional, courteous and tidy. He took his time with the job and made sure it was of a high quality. I am very pleased with the door it looks fantastic. 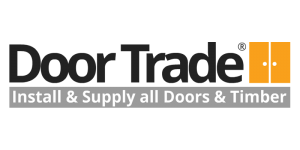 I will be recommending door trade to my family and friends and will be using them again in the future. Victoria Hamilton here from San Souci, i would like to thank your installers David and Robert for their fine installation of the quality classic Front door. The precise carpenrty work on my Federation house was faultless. They were so friendly and well mannered . They were the best tradesman that performed work in my house. Thank you Anthony from Door Trade. my solid timber internal doors. I am very happy to recommend Door Trade to others seeking supply and installation of doors. 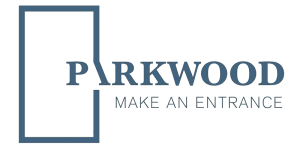 We had Door Trade supply and fit more than 20 doors for our house and they were very helpful and professional. The result has been a good job at a good price and I would recommend their service. Thank you Door trade for your outstanding service. I rang for a quote on replacing my old internal doors and was given all the information I needed instantly. The prices were the most competitive I had found and included a fantastic collection of high quality handles for me to choose from. Nothing was a bother and you installed within the week just as you had told me when I first rang. I'm very happy with the doors which look great and make such a difference to our place. I would definitely recommend you on product, price and most importantly great customer service! " The service from the first initial phone call was tremendous. Then Door Trade organised a sales staff to come round and spend time to explain the qulaity and contruction of the doors and installation. The price was very competive, and the doors were installed within the promised time frame of 8 days while other competitors were quoting 4 to 6 weeks. I would like to thank Anthony for an brilliant job in supplying and installing French Doors in my office. He was pleasant and had excellent customer service, reliable he takes pride in his work. I would highly recommend Door Trade to family and friends. It was a pleasure dealing with you. Rob & I would like to thank you for the fantastic job you did for us. It was a pleasure dealing with you you were reliable, the doors look great and you came in at a great price. My Husband & I would like to thank you very much for all you help, for supplying & installing our main door. Excellent customer service all the way through & professional manner, paid more attention to details, new exactly what we wanted. Anthony you have made our experience with Door trade very easy and smooth it wasn t about how much your were making it s how you wanted to make your customer happy. Your attention to detail for my project is much appreciated to ensure our double door set was ordered and installed correctly to our family room. Other manufacture's quoted 6-8 week leads times but you managed to have the project completed within 2 weeks from the time we paid our deposit. You are also reliable attending the job site at the agreed times and cleaning up afterwards.